Having lived in the area for over 45 years, we have become very familiar with those ‘off-the-beaten-track’ and easily missed locations. Our tour guides live in the Cotswolds and are knowledgeable about the region and familiar with the best locations to shop, eat, drink and stay. We know the Cotswolds intimately and work with you to ensure you get what you want from your tour, so we encourage you to share your interests with us. CJP Cotswold Tours is a family-owned and operated Cotswold-based tour business based in the north Cotswolds. We aim to ensure that our visitors to the Cotswolds experience the best of the region during an enjoyable day out from the comfort of our executive private tour vehicles, and with the reassurance of our experienced tour guides. Leaving the driving to us gives you more time to take in your surroundings and explore. 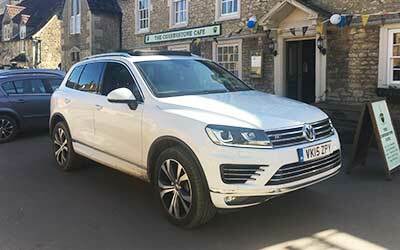 Owned and operated by Chris and Ruth who are married with two daughters, Charlotte and Hannah, they run their Cotswold touring business from just outside the woollen-market town of Chipping Campden, situated in the northern Cotswolds. CJP Cotswold Tours was first established in 2002 and has now become well recognised as being safe, professional, friendly and reliable. Take a look at some of our TripAdvisor reviews to find out what others are saying about our tours HERE. We’ve lived in the Cotswolds for 45+ years and know the region inside-out. 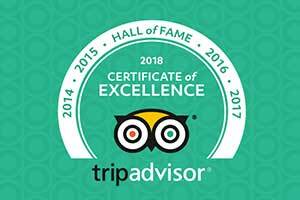 Internationally recognised, and highly rated by our previous clients – we’ve won the Trip Advisor Certificate of Excellence award for 2011, 2013, 2014, 2015, 2016 & 2017. CJP Cotswold Tours is built on honest family-values with integrity. With in-depth local and specialist regional knowledge. All of our tours can be tailored to your interests and can accommodate for most requests you may have. We’re a reliable and faithful business, with over 15 years experience [established in 2002]. We’ve been told our private guided tours are like taking a holiday or day-trip with old friends, which we think sounds rather lovely and couldn’t put it better ourselves. Seating up to 7 passengers for travelling in style, comfort and safety. Our tours are leisurely paced, with flexibility on the day should you change your mind. We offer a range of payment options and have security measures in place for safe transactions through our online payment system. Our vehicles and tour guides are fully licensed for private hire, issued by Cotswold District Council. Our guides have also been fully DBS (formerly CRB) checked, for your peace of mind. We work with local businesses to bring you the best the region has to offer, all whilst supporting our local economy. All of CJP Cotswold Tours’ Driver-Guides are experienced, professional and love to travel. We have carefully selected our team for their affable personality, being natural born story-tellers as well as great drivers, too. To make sure that you get the most from your visit, our tours are provided by local guides who present engaging and entertaining commentaries throughout the day, sharing comprehensive and interesting local facts and knowledge, whilst ensuring that there’s plenty of time to travel between locations and see a variety of sights. 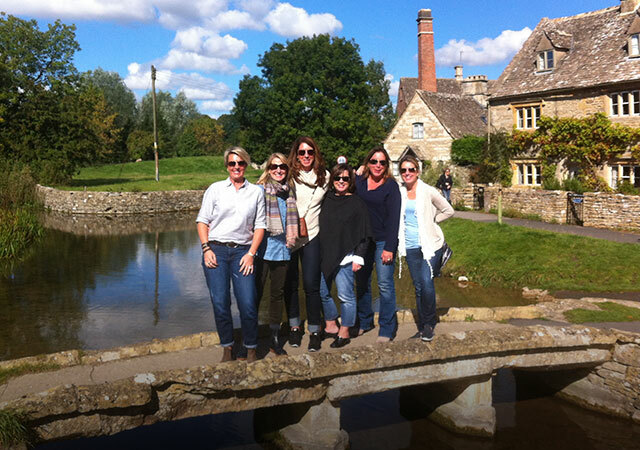 On days off, our guides can often be found out-and-about in the village locations they frequently take their passengers to, continually developing their knowledge and talking to anyone who will listen about the wonder of the Cotswolds. Each of our guides also has their own special interests and favourite locations throughout the UK, which they’ve travelled extensively. For tours of other regions of the UK, where possible, we will always assign the most appropriate guide based on their experience. 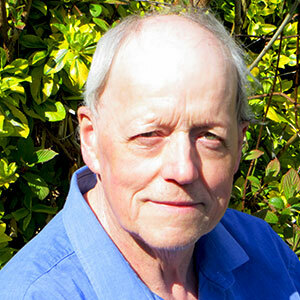 Chris is joint owner of CJP Cotswold Tours, together with his wife Ruth and has lived in the area for over 45 years. 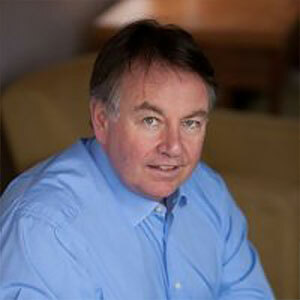 He’s a great storyteller and has a passion for the beautiful Cotswolds. CJP Tours was established in the village of Broadway—often referred to as the ‘Jewel of the Cotswolds’—which remains one of Chris’s favourite villages in the region. During his time off he enjoys walking Boris, his Golden Retriever, motorcycle touring throughout the countryside, cooking and spending time with friends and family. 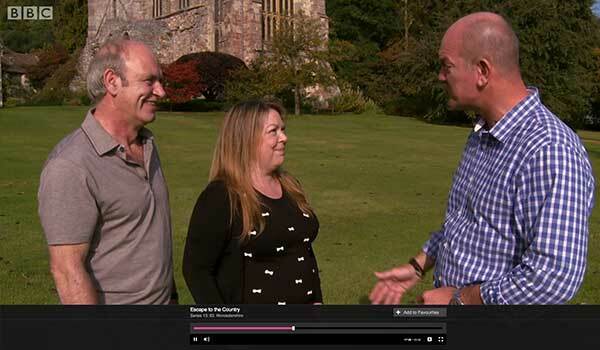 Chris’s claim to fame (other than having presented on BBC’s Escape to the Country!) is that he once won the title ‘Champion of the Hill’ in the Robert Dover’s Olympick Games – an annual event held at the original site of the English Olympic Games. Tony was born in Birmingham where he lived for 20 years before moving to the Cotswolds in 1976. Following a 40-year-long career in industrial asset finance working in both the UK and Europe, Tony joined CJP Cotswold Tour’s team in 2013. During his time on the road, Tony has driven over 1 million miles on business. His favourite place in the Cotswolds is the Coln Valley which he loves for its quiet and peaceful atmosphere, unspoilt by tourism. In his opinion, it’s the Cotswold’s best-kept secret! 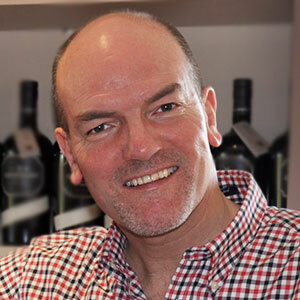 As well his excellent knowledge of the Cotswolds, Tony also has in-depth knowledge of Wales, the Lake District and Northumberland. When possible he enjoys taking time out to do a range of activities including motorcycling, mountain biking, road cycling, diving and mountaineering. “Look no further — Tony is the Bomb!!! What an absolutely super vacation! From the start, Chris and Ruth were wonderful and patient with my many emails, listing the various things that I wanted to do and see once I arrived. And then there was Tony. There he was when we landed (even though we had been hours delayed by our flight), a twinkle in his eye and welcoming smile. He made even getting stuck in traffic a supreme pleasure — discussing the local areas – history and such. Immediately upbeat and cordial. He showed us the best of the Cotswolds during our 3 day tour and was really entertaining about the deviations we had wanted to see. I cant tell you how wonderful he was, pointing out the breathtaking sights and adding marvelous anecdotes as our days moved along. 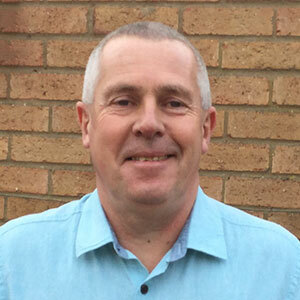 Ian was born and raised in Kent before leaving school to join the Royal Navy and saw active service in the Falklands conflict of 1982. He then went on to join Kent Fire and Rescue Service where he served operationally for 25 years, before moving to the National Fire Training College in Moreton-in- Marsh here in the Cotswolds, to work for 8 years as an instructor. Upon retirement, the decision to remain here in this beautiful part of the world was a very simple one. Ian feels privileged to live in such an attractive area and loves the opportunity to show visitors some of the wonderful attractions of this region. When not driving for CJP Tours, Ian house sits all over the country with his wife Sue, allowing owners to leave their dogs, cats and other adored pets in their home environment. A unique way to explore other areas of the United Kingdom. Ian is a regular cyclist, taking on the local hills and views with pleasure. He also spends quite a lot of time hunting golf balls in the local courses, with differing levels of success! “We had a lovely tour with Ian, and he did everything he could to accommodate our wishes. He made a point early on that this was our tour and he would take us anywhere we wanted to go. My husband has issues with his legs, so Ian was very mindful of where we stopped so he wouldn’t have very far to walk, yet still allowed him to stretch his legs when he needed it. We mentioned a place that we thought we would like to see, but Ian said that we might disappointed by the number of tourists. He suggested driving there after we visited several of the other towns and villages in the Cotswolds. He drove down many beautiful, quiet lanes as we wove our way through the area. The villages were just as we had imagined them, picturesque and serene, with hardly a tourist in sight. For lunch Ian took us to a pub in a small village, where we enjoyed soup and ate delicious bread baked by the 96 year old lady who lived across the street. What a treat! Nick and his family have lived near Broadway in the Cotswolds for the past 27 years. He escaped a banking career in London to run a holiday cottage agency based in Blockley, near Moreton-in-the-Marsh. 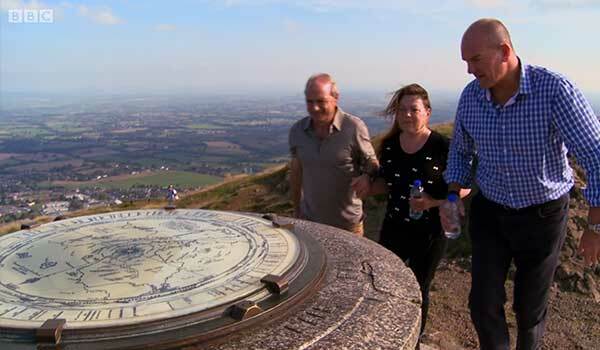 The property portfolio not only spanned the Cotswolds but all four corners of the UK. Through this work there aren’t many parts of the country that Nick hasn’t visited. For the past 10 years Nick has worked as a self-employed business consultant, but relishes any opportunity to get out of the house and away from spreadsheets to share his in depth knowledge and love of the area with those less familiar of its hidden gems. When Nick isn’t sitting at his desk or guiding, he’ll either be on a long walk with his wife and black Labrador called Monty, watching a game of rugby, sampling a newly discovered craft ale or cooking. Stephen joined CJP Tours after a long career in the motor industry, first starting with MG cars at Abingdon, near Oxford and progressed to working for Jaguar and Land Rover in the Midlands. His work has always involved a lot of driving, including hot climate car testing in Death Valley, California and winter testing in Sweden and Finland. 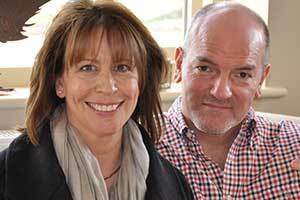 Stephen lives in Shipston-on-Stour, which is just at the edge of the North Cotswolds, with his wife Gerlinde. Their children have long since set up homes of their own and they love to go and visit them and their young Grandson. 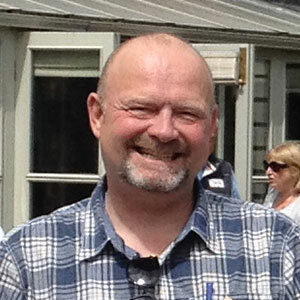 Stephen has been Mayor of Shipston, a district councillor in Stratford upon Avon and a member of the Cotswolds Conservation Board which is responsible for protecting the Cotswolds and ensuring that the area is enjoyed by the many visitors. In his quieter moments, Stephen likes to play golf or tinker with old cars, one of which, a 1955 MG tourer has recently appeared in the period drama/detective television series “Father Brown” which is filmed in the Cotswolds. Ruth is co-owner of CJP Tours and takes care of the day-to-day running of the business to ensure everything continues to operate smoothly. From driver/guide and vehicle admin to managing bookings and processing payments, Ruth works tirelessly in the background to make certain that nothing gets overlooked! 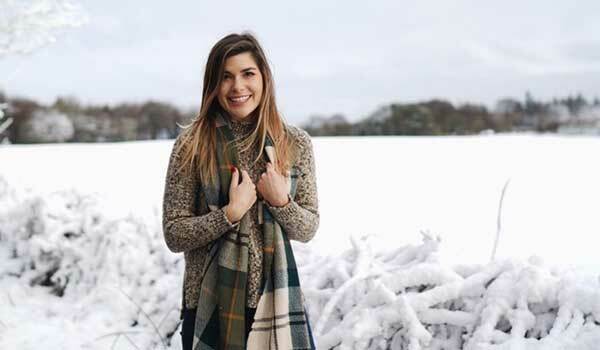 In her spare time, Ruth enjoys working on the interior design of their house renovation, spending time with friends and indulging in a spot of shopping in Cheltenham – having always thought that one day, she’d love to make the regency spa town her home. 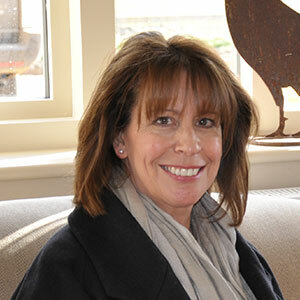 Charli has been involved with the business since 2012 and is Chris and Ruth’s eldest daughter. Charli takes care of CJP Tour’s brand and online presence, marketing and business development, working with local attractions and hotels to enhance the experiences we’re able to offer. When not working for CJP, Charli also has her own Design and Marketing consultancy working for a range of other clients. 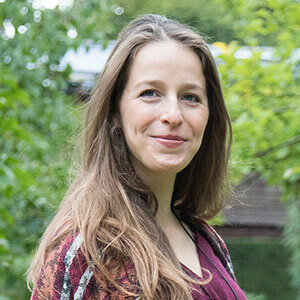 In 2018 she also became a new Mum to baby Aurora and her hobbies and passions include discovering new places to eat and drink, walking across the Cotswold countryside with her Siberian Husky whilst foraging for wild food and herbal medicine, as well as growing organic fruit and vegetables in her garden. 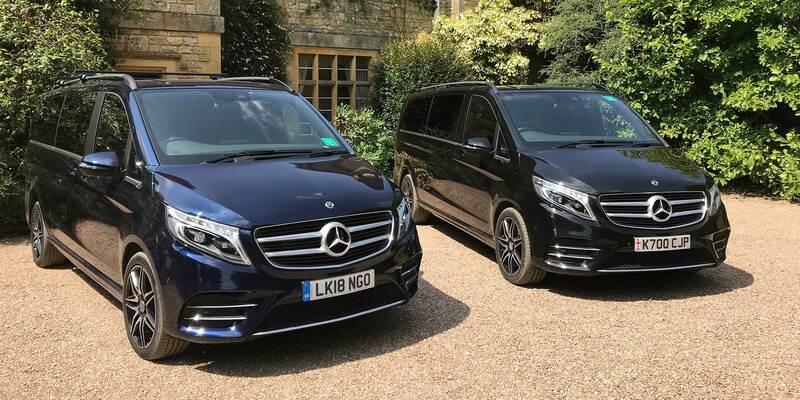 We currently have 4 private touring vehicles, fully-licensed by Cotswold District Council for Private Hire, which can accommodate from 4 to 7 passengers to travel in both safety and comfort. As every tour is tailored to your personal interests and is not an ‘off-the-shelf’ service, it is not possible to book one of our tours online. Please contact us for a quote and to discuss a possible itinerary which works for you. If you’d like to go ahead, we’ll send a booking form for you to complete along with a secure payment link for you to reserve your tour with a deposit. Can you recommend anywhere to stay? We regularly work with local hotels, inns and b&b’s to book our clients into their rooms. Please take a look at our Recommended Accommodation page for information and links to hotel, B&B and self-catering accommodation options. This varies from tour-to-tour. Please view individual tour pages to find out more and request a quote. The fee quoted for our private-guided tours is per vehicle and your guide. We do not charge per-seat. Where does our tour start from? Our tour start points are flexible and can work with your travel plans. We can collect and return you at a location convenient for you. This could be a local hotel, or other accommodation in the Cotswolds, one of the local train stations such as Honeybourne or Moreton-in-Marsh (we are happy to help advise on train times), or a UK airport, seaport, or other UK city or accommodation location. A typical full-day tour of the northern Cotswold region is 8-hours. Our tours are tailored to you; relaxed and at your pace, with plenty of time to stop for a stroll. During the Winter months (November-February), we are able to offer ½-day tours, which typically last between 4-6 hours. Just let us know if you would like to spend more time in a particular location and we will do our best to oblige. Can you collect us from London? Yes, we are fully private-hire licensed and offer transfers from any UK location including central London and all UK airports. 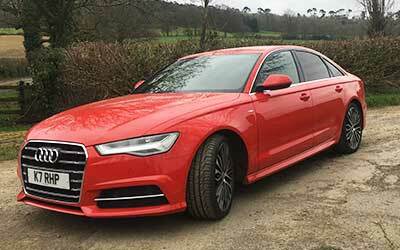 Yes, as we are private hire licensed, we can collect from any UK airport or inbound location. Just ask us for a quote or let us know when booking your tour. Can I bring luggage on-board with me? Yes, our private-guided tour vehicles can accommodate for a generous amount of luggage. Please let us know how many pieces of luggage you anticipate bringing with you when booking your tour. If necessary, we can install one of our secure-locking roof boxes to create more storage space. Yes, please let us know if your child needs a baby car seat or booster seat, which we would be happy to provide and ensure it is fitted correctly into the vehicle before starting your tour. Can you fit wheelchairs and pushchairs in your vehicle? Yes, although this can be dependent on your group size and our vehicle availability. We have found on many occasions that those with limited mobility have no problems entering and exiting our vehicles and there is plenty of space in the rear compartments to store mobility equipment. Our guides are always happy to provide assistance, too. We ask that we be informed of any large items you wish to bring on-board before your tour date to ensure that we can accommodate for extra baggage if necessary. 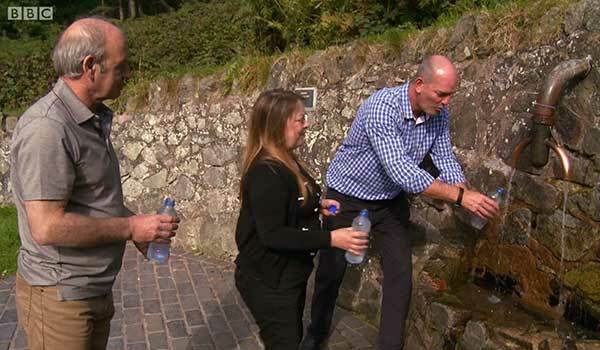 Are your tours accessible to people with disabilities? All of our vehicles are comfortable and spacious, however the Mercedes V Class is the largest and can accommodate one folding/collapsable wheelchair in the boot, depending on space taken by other luggage. Please check space available at time of booking. We do not provide ramps however your driver/guide would be happy to provide some assistance for you in entering and exiting the vehicle. Please note however that our staff do not receive disability awareness/equality training. We make it our priority to meet customers’ individual needs through personal attention. We aim to provide the same high quality levels of service for everybody. Comfortable clothing and sensible footwear is advised due to uneven footpaths and surfaces. Appropriate clothing/protection is advised to suit the weather/time of year. What level of fitness will be required? Basic mobility is required to leave the vehicle and enter places visited, including walking up/down stairs in some places (although this is not a requirement). Access statements for venues available on request. Some locations have uneven walking surfaces, though there is no requirement to exit the vehicle when stopping off in various towns/villages. CJP Cotswold Tours (also referred to in these booking conditions as “we”, “us” and “our”) accepts you (also referred to in these booking conditions as “the Client”) booking under the following terms and conditions. When confirming a tour with CJP Cotswold Tours you (and any other person(s) including children accompanying them on the tour) agrees to be bound by these terms and conditions. No agent, servant, representative or client of CJP Cotswold Tours has the right to make any oral promises, claims or offers or to alter or vary or waive any of these terms and conditions. A payment of 25% (or £150.00 – whichever is greater) – unless stated otherwise – of the agreed total fee must be sent to CJP Cotswold Tours in order to secure your booking. We will provide payment instructions for you to make a secure payment. The balance of the total fee is payable in full, at least two-weeks days before your tour start date if payment is by card. Cash may also be chosen as an alternative method of payment for the remaining balance, where by the monies owed will be payable to your driver guide, at the end of the tour prior to departure. Once full payment is received, a confirmation will be issued to the Client. If a booking is made 28 days or less before the departure date, then the full fee shall be immediately payable. If the full balance of the total fee is not paid by the due date, CJP Cotswold Tours reserves the right to cancel the booking and retain the deposit. You have the right to a refund of any monies paid to CJP Cotswold Tours, minus any deposit received, subject to us receiving notification within seven days of receipt of your deposit payment. All notifications of cancellation must be advised in writing, signed by the signatory of the booking form and either sent by email to chrispeake@cotswold-tours.com or to CJP Cotswold Tours, 49 Meon Road, Mickleton, Chipping Campden, Gloucestershire, GL55 6TB. Cancellations are effective on the day they are received by CJP Cotswold Tours. Receipt of cancellation will be confirmed in writing to the provided method of contact, drawn from the original completed booking form. Recorded delivery for postal methods of communication is strongly recommended. If you wish to cancel via email, it would be considered wise to also call our office on +44 (0) 1386 833 365 to ensure we have received your cancellation. CJP Cotswold Tours reserves the right to cancel any tour if a specified minimum number of passengers are not booked on the tour, or for any other reason beyond the control of CJP Cotswold Tours. In the event of a tour being cancelled by CJP Cotswold Tours for any reason, the client may choose a full refund of all monies paid including the deposit, or alternatively choose to be booked on any other tour that CJP Cotswold Tours may offer. No further liability by CJP Cotswold Tours to the client with regard to the cancellation will arise. 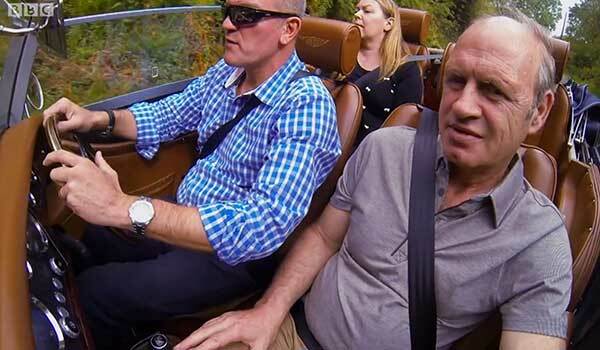 In the event of a passenger selecting an alternative tour offered by CJP Cotswold Tours which is lower in price than the original tour, then the client will be entitled to the difference or alternatively, if the tour is more expensive, then the client will be liable for the additional cost. Entry fees to any attractions you may wish to visit during your tour, lunch and refreshments are not included in your tour booking. CJP Cotswold Tours are happy to help with external bookings such as hotel recommendations, dinner reservations, tour activities and other enhancements on behalf of the Client on request. Payments for any fee due as a result of CJP Cotswold Tours acting on behalf of the Client will be agreed prior to placing any such booking. For parties of 8 passengers or more, we are able to offer a minibus to accommodate for your group. In the event of such an occurrence, the Client acknowledges and accepts that the vehicle will not be licensed for Private Hire or taxi, and that any monies paid to CJP Cotswold Tours under this provision are purely for our tour guide services. No charges will be made for the driving of the hired vehicle. In case of any change instructed or requested by the Client, to any previously agreed and approved tour program or itinerary, before or during the service being provided, the client will be liable to pay any charges incurred for cancellations both internally and through third parties such as but by no means restricted to; entry ticket charges, travel costs such as toll roads or congestion charges, or additional mileage incurred through change of route. CJP Cotswold Tours has the right to refuse any changes that would affect the tour program substantially or to its detriment. It is the responsibility of the client to ensure that they are in possession of valid travel documents, including passports, visas, health certificates etc. CJP Cotswold Tours cannot accept any liability for incorrect documentation. In the event of any client being unable to embark upon, or complete a tour for default of any of these pre-requisites, CJP Cotswold Tours will bear no liability for the client, or for his return to the embarkation or disembarkation point or for any other costs or expenses. Neither CJP Cotswold Tours, nor its agents can be held liable for any injury, damage to property or loss of life caused. You agree to indemnify CJP Cotswold Tours in respect of any accident, personal injury, loss of life, or damage to property caused by the client during the course of the trip. The Client agrees to comply with the laws and regulations of the country visited on the trip and comply with all reasonable instruction, issued by CJP Cotswold Tours and/or their assigned driver guide, relating to safety and organisation of the trip. Stops are made throughout the tour for sightseeing and refreshments. We ask that you return to the vehicle promptly within the time allowed for those stops. If your return is overdue, we can not guarantee that there will be time to visit each location detailed in your itinerary, or reach any pre-booked entry to venues or tourist attractions otherwise, or by any allocated time. If your driver guide is still waiting 90 minutes after the time requested that you and any additional party members return to the vehicle, and no contact to either your driver guide or the CJP Cotswold Tours office is made to notify us as to your whereabouts, your vehicle may have to leave without you and neither we nor your assigned driver guide shall be liable for the consequence. CJP Cotswold Tours reserve the right to publish any photographs or videos taken by our employees of any passenger on tour with us, or any media sent to us by any tour attendee pre, during or post-tour for publication, exhibition, or other promotional purposes. Should any passenger wish for media where they are present not to be used for such purposes, notice must either be provided beforehand or at the time of the photograph being taken. We ask that if you do not wish to be in photographs published, please avoid standing in view of the camera so that the image can be usable for the aforementioned purposes. The Client indemnifies CJP Cotswold Tours for any consequence which may arise from any media we choose to publish, and are happy to remove any online media or comments published, where possible and within reason, if requested in writing via email to charli@cotswold-tours.com. Should you have a complaint during your tour, we ask that you raise the issue with your driver guide and they will do their best to rectify your problem. If they cannot resolve your complaint at the time, please send your complaint in writing either by email to chrispeake@cotswold-tours.com or to CJP Cotswold Tours, 3 Gainsborough House, Battlebrook Drive, Chipping Campden Business Park, Chipping Campden, Gloucestershire, GL55 6JX. Recorded delivery for postal methods of communication is strongly recommended. CJP Cotswold Tours does not accept any liability for any loss, inconvenience or damage caused by war, threat of war, riot or civil commotion, terrorist or criminal activity, industrial disputes, natural disasters, fires, sickness, weather conditions, road or traffic conditions, temporary technical, mechanical or electrical breakdown within booked accommodation, explosion of, or radioactive contamination from, any nuclear facility or other events beyond the control of CJP Cotswold Tours. We are proud to work with a range of travel partners and agents across the UK and overseas. On a number of occasions this has also included providing location visits and hotel inspection tours for company directors and CEOs looking to review the region for their holiday packages. For travel agents and specialists looking to co-ordinate client holiday and tour packages please do not hesitate to contact us to see how we can help you in your endeavours and match your clients to their perfect tour guide. We’re proud to have worked closely with and provided our tour services for a range of publications, organisation and media outlets across the UK and internationally to promote the Cotswold region, including work with VisitBritain and the official Cotswolds Tourism. If you would like to make an enquiry about a potential Press, PR or Media opportunity, please send an email to Charli Peake – charli@cotswold-tours.com. 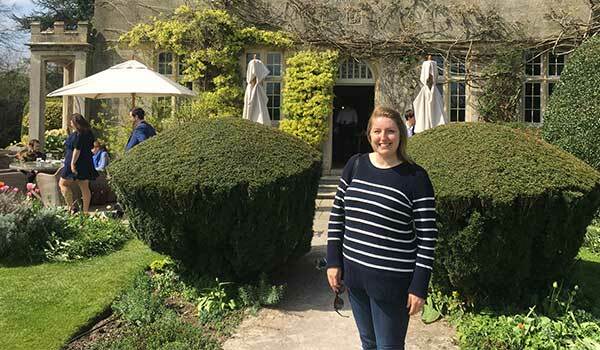 Press and blogger visits to the Cotswolds for VisitBritain in collaboration with Cotswolds Tourism – in April 2017, we provided a tour to Marie-Eve Vallieres of To Europe and Beyond. See a post she tagged us in on Facebook HERE. 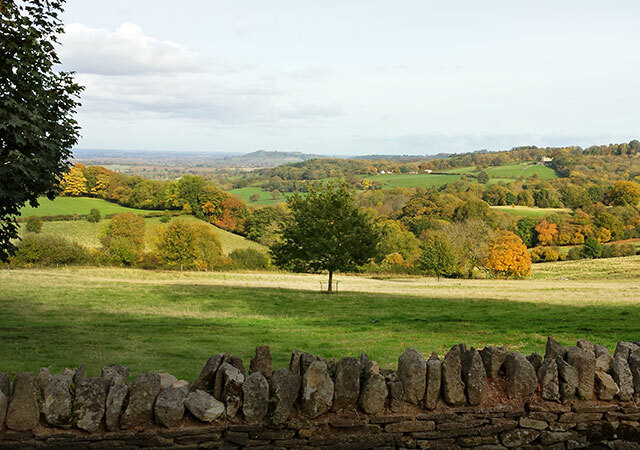 Read about Marie-Eve’s trip to the Cotswolds in her blog post ’11 Beautiful Cotswold Villages You Need to See’ HERE. Erie Nick, a Texas-raised but London based blogger visited the Cotswolds in January 2018 for a mid-Winter break and a chance to explore the Cotswolds in the snow. Read about Erie Nick’s trip to the Cotswolds in her blog post ‘The Northern Cotswolds Guide’ HERE. When it comes to providing our tours and private hire services, our clients are at the heart of our business. Everything we do and the service we provide is based on you and your party, as individual human beings. That is, after all, how we would like to be treated. We’re a family-run business and as such, would never do anything we wouldn’t consider acceptable for ourselves, which includes keeping your data and any information you choose to share with us as safe as possible, handling it with respect and keeping you in control. CJP Cotswold Tours is committed to protecting your privacy in accordance with their obligations under data protection legislation and ensure that any personal data shared with us or the personal data that we get from other organisations will be kept safe and will not be used for any purposes that you have not agreed to. With effect from 25th May 2018, the main data protection law is the General Data Protection Regulation (GDPR) as supplemented by the Data Protection Act 2018 and related laws. Most of the data we hold would have been provided by yourself. Information you provide when you make an enquiry from our website, via email or when making a telephone call to us. When you engage with us through a social media channel or review site, such as Facebook, Instagram or TripAdvisor. When you make a booking direct through us via email or telephone, we will ask for you to send us your personal information in order to secure, process and service your bookings. When you make a booking through an agent, hotel or reseller, we will receive your personal information in order to secure, process and service your booking. Information obtained from during a service being provided, such as information we can use to enhance your experience or to improve our service. When you use our website, we use Google Analytics to collect information such as the browser and device you’re using, the pages you visit on our website and your location (more information available under ‘Data Analysis’). More information about cookies can be found at http://www.allaboutcookies.org/. Google Analytics is a web analytics service offered by Google that tracks and reports website traffic. We do not use it to collect any personal information. This provides us with information about how our website is used, such as which pages are visited the most, how long users spend on those pages, whether most of our website users are on a mobile device or a desktop computer, and where our website users are coming from in the World. We only use this data to help us to make improvements to our website and your online experience. You can ask, in certain circumstances, to delete the personal data we hold about you (subject to our Statutory obligations). To make a request in relation to any of the aforementioned rights, please email us at info@cotswold-tours.com. If you provide consent to having your photograph taken, as outlined in ‘How We Use Your Information and Why’, we may use the image for marketing or PR purposes. Alongside the image, we will hold your name and if applicable, age, on file for future use. We will always ask for consent to photograph or video children. The products and services offered by CJP Cotswold Tours are not directed at children under 18 years old. We do not knowingly use the website to solicit data from or market to children under the age of 18. The use of any of our services is only allowed with the valid consent of a parent or a guardian. If we receive information from a child under 18 years old, we reserve the right to delete it. If a parent or guardian becomes aware that his or her child has provided us with information or may be receiving communications from us without consent of a parent or guardian, we ask that this be brought to our immediate attention. We will make it our priority to address this situation and delete information relating to a child as soon as practicable. In such an event, please contact us at info@cotswold-tours.com. Our website contains links to other websites which we have included in the hope you might find them useful. These websites operate fully independently from us, and we cannot accept any responsibility or liability for the privacy practices of such third parties nor the availability of these external sites or resources. Should you use any of these websites, such use is at your own risk and we would recommend that you review their respective privacy policies. Our website uses https, which means that anything sent between your device and our servers will be encrypted. Our SSL certificate tells you that pages you visit on our website are provided by us. Our website is hosted on secure servers operated by TSO Host. In order to prevent unauthorised access or disclosure to your data, we have put in place suitable physical, electronic and managerial procedures to safeguard and secure the information we collect (such as your personal data and booking information) and physical assets (such as photographs taken of you and members of your party during a tour). We use third-party services for secure payment processing (e.g. payment processors). The online payment processer we work with is WorldPay. We will only keep your personal data as long as necessary to fulfil the purposes we collected it for. This period may be set by our need to satisfy any legal, accounting, or reporting requirements. Once the purpose for which information has been collected has been fulfilled, we will permanently delete your personal information. CJP Cotswold Tours is the data controller for www.cotswold-tours.com and is registered on the Information Commissioner’s Office’s Register of Data Controllers. We are looking for reliable, enthusiastic, confident, fun and friendly individuals who would like to work with a well established private tour operator based in the North Cotswolds. We are seeking a tour driver/guide to work for us on a contracted/part-time basis. Successful applicants must be committed and available to service tour bookings throughout the whole of the Spring to Autumn season (March-October). The role would be to provide private guided tours of the Cotswold regions (and other areas of the UK when required), for groups/bookings of up to 7 people. You will be expected to provide an engaging commentary throughout the tour, with details such as the architecture and historical facts of the various locations visited, whilst encouraging conversation with your passengers. You will be dedicated to providing an outstanding and memorable experience for our clients, where no task is too much trouble. If you feel that you are just the person we’re looking for and would like to be considered, then please forward your CV and a cover letter to charli@cotswold-tours.com stating why you believe you’re suited to the position. Applications without a CV and cover letter will not be considered.